New Mayor Charlie Hales with our newest print at City Hall today. We’ve implemented our new shipping procedures and they are working seamlessly. The good news is that we were able to cut our shipping costs to you in half. With UPS we were charging $12 and losing money on every print we shipped. Now we are using USPS and charging $6 per package. Win-win. We learned a valuable lesson from Emily Winfield Martin of The Black Apple in Portland. We ordered a print for our daughter Meegan, from Emily’s Etsy site and when it arrived, we examined her shipping techniques. Previously we were shipping in tubes, and even though they were a full 4 inches in diameter, the rolled up prints still had some curled “memory”. Emily ships her goods flat in “Jiffy Rigi Bags” which are thick envelopes that resist bending. We are supplementing our Rigi Bags with a sheet of card stock to increase their rigidity. We got the bags from a great company called Uline, and they also have these amazing “Do Not Bend” stickers that we are attaching to the outside of the envelopes. Bottom line is, now we can send our prints out nice and flat, so when they arrive at your place they are truly “ready-to-frame”. Southeast Portland ArtWalk coming soon. K&F Coffee at 26th and S.E. Clinton Street. This year’s walking tour and sale will take place March 2nd and 3rd, from 10 am until 5 pm on each day. The You Are Here, Portland suite of prints will be on exhibit at K&F for the entire Month of March. Our newest print, featuring the image of Portlandia, will be on display. 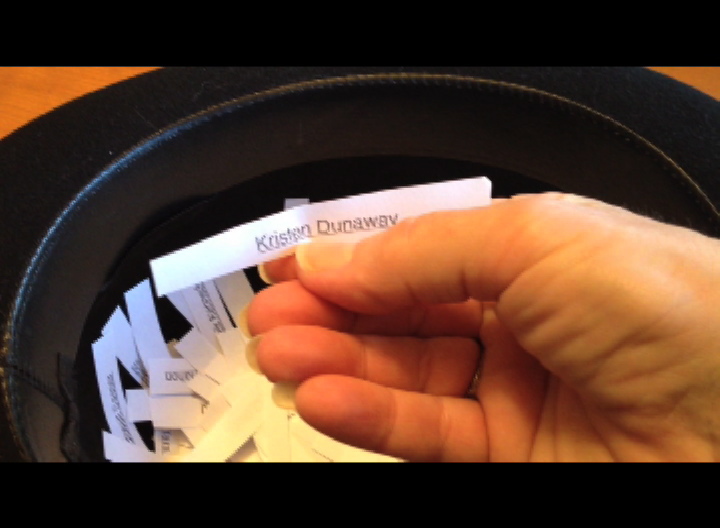 We have chosen the winner of our free print giveaway. Kristen Dunaway, if you would please choose which print you want and send us an email with your street address, we will ship it off to you tout de suite.